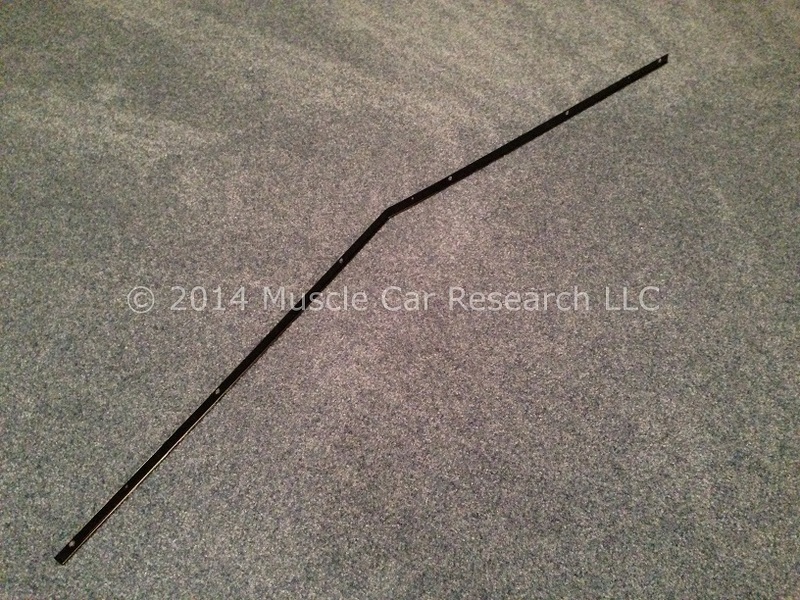 Muscle Car Research is proud to offer a brand new reproduction of the D0ZZ-16C694-A hood trim support used on 1970 Ford Mustangs. 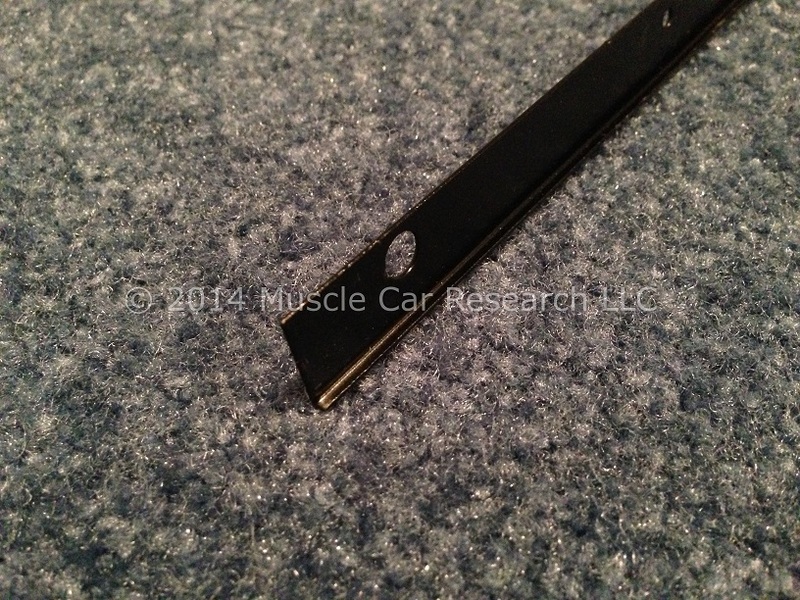 This part fits between the leading edge of the hood and the bright hood trim molding and is held in place with three 3/32" pop rivets (the holes are 1/8" in diameter, but the powder coating and manufacturing tolerances may make it difficult to install a 1/8" rivet). 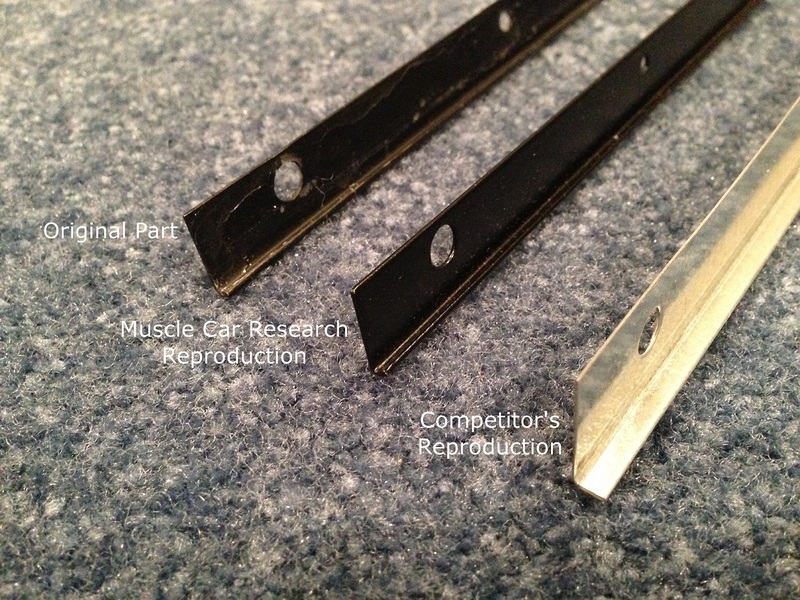 A comparison of our part to an original part and a competitor's reproduction can be seen in the image above; click on the image for a larger version with more detail. Compared to the original part our reproduction has the same dimensions, the same galvanized steel material, the same bend along the bottom edge, and the same semi-gloss black finish. 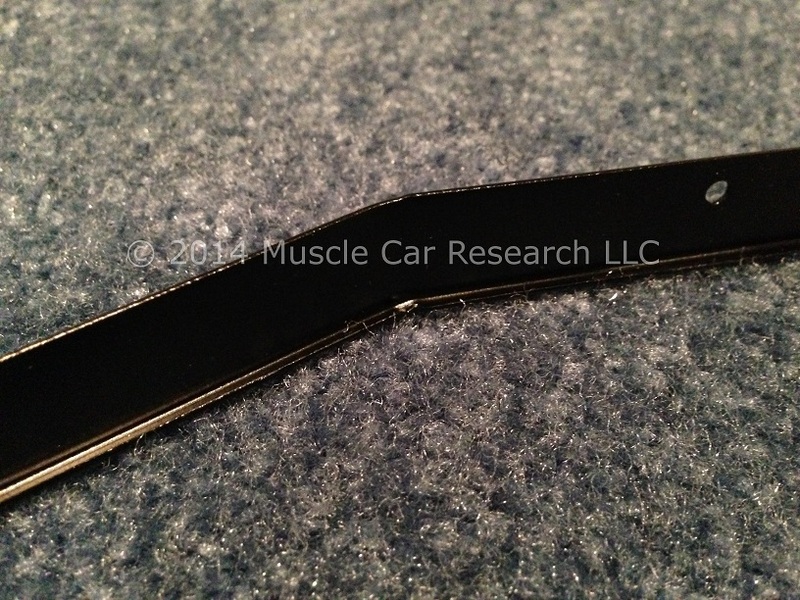 We go one better than the original paint by powder coating our reproduction to provide years of trouble-free service.